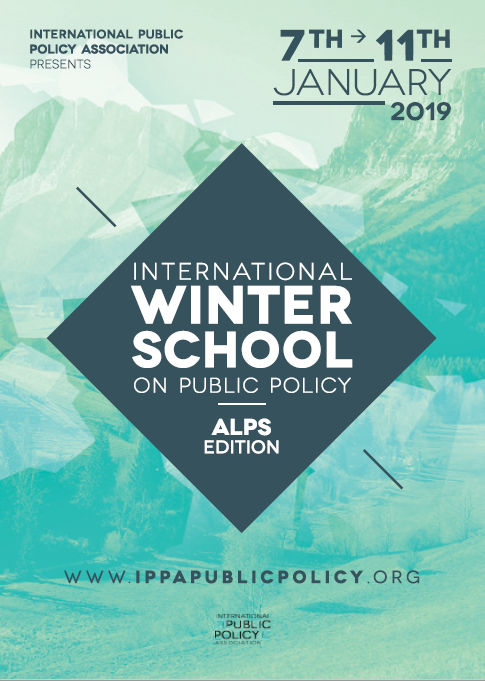 The International Winter School on Public Policy - Alps Edition 2019 was held from January, 7 - 11 , 2019 in Autrans, France. The Winter School was organised by IPPA with the support of IDEX Lyon, PACTE and Science Po Grenoble with an aim to provide advice and knowledge on Public Policy theories, concepts and methodologies to analyze public policy to PhD students and young scholars. During the Winter School courses & lectures took place in the morning and workshops in the afternoon. All lectures, courses, and workshops were given by International Scholars, such as Claudio Radaelli, Frank Fischer, Nikolaos Zahariadis and Philippe Zittoun. One 10-hour workshop with a small group of 10 to 15 participants to discuss participants' research projects or project of article. Each project was discussed from 45 minutes to 1h.